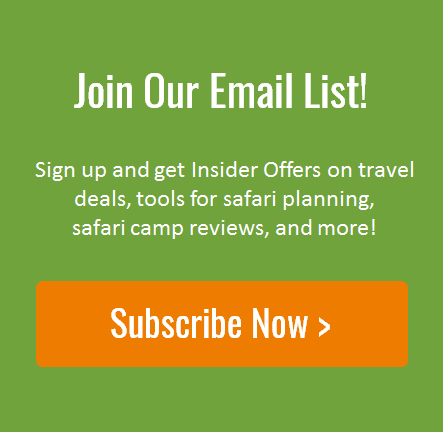 This post is by our newest iSafari.com contributor Maia Wikler, a Colorado College graduate with a passion for anthropology, human rights, travel and conservation. When she isn’t writing or reading she loves to be active outside and planning the next adventure. Zebras are perhaps one of the most recognizable animals in the world, famous for their signature stripes. For decades, it has been believed that the black and white stripes of the zebra made them less detectable for large carnivores by disrupting the visual outline of their body. Until recently, this widely popular theory of zebra stripes remained relatively uncontested. In a recent publication in the PLOS One scientific journal, a diverse team of anthropology, wildlife, conservation, archaeology and ophthalmology experts just redefined a century-old understanding of zebra stripes. 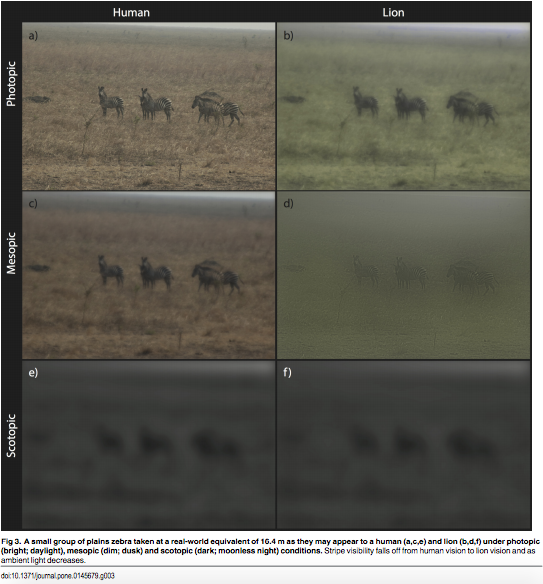 The group of researches tested this popular belief by simulating the spatial and color filters of the zebra’s primary predators with digital images of zebras. They also measured stripe widths and contrasted the appearance of stripes at various distances from which primary predators, such as lions or hyenas, would be able to detect the zebras. The researchers used a unique combination of field data, digital images and psychophysical approaches to investigate if zebras’ stripes actually help camouflage them from predators. Their findings identified several new understandings that dispute the popular notion of zebra stripes. Stripes do not successfully disrupt the zebra’s body outline because it is unlikely that large predators are able to see black stripes against trees or white stripes in shafts of light in between trees. Their research determined that beyond 50m during the day, and 30m at night, zebra stripes are difficult to see. Zebras primarily reside in open plains environments that allow greater light on the zebra’s body from the open sky. Because of this, their black and white stripes wouldn’t serve as much of a visual camouflage against stalking predators. The research is fascinating because zebras are among hundreds of thousands of wildebeest that partake in the world’s epic wildlife event, Tanzania’s Great Migration. In this annual trek over the Serengeti plains, wildlife is in pursuit of new grass. Scientists also believe that each zebra has an individual stripe pattern and that foals are able to recognize their mothers by the pattern of their stripes. Recent research has even shown that the monochrome pattern of a zebra’s stripes helps to disorient the visual system of flies and biting insects. Even though the questions of exactly why zebras have stripes and what purpose they serve remains largely unanswered, continued research provides new and important insights. The zebra stripes have fascinated researches since the 1800s and will continue to fascinate scientists as fresh insights continue to be published..